One thing about Malaysian, we like to eat. From morning till night the one universal question is: What to eat for breakfast/ morning tea/ lunch/ brunch/ afternoon tea/ dinner/ supper/ yumcha??? Never ending. Tim Ho Wan, the so-called-world's-cheapest-michelin-starred-restaurant must've saw how we Malaysian eat and decided to open its branch here at The Boulevard, Mid Valley. Of course, the crowd isn't disappointing, many queue up for dim sum since the first day of its opening, surprisingly family and elderlies are the main crowds for Tim Ho Wan (based on my observation). 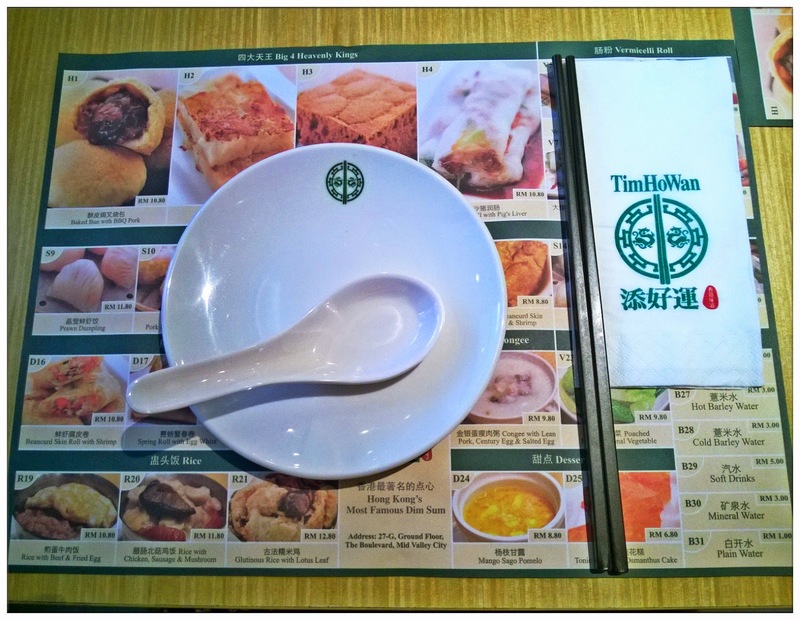 Being someone who eat out all the time, Tim Ho Wan becomes the next-to-try list, so me, Peiyue and Kamsao went to Tim Ho Wan on a sunny Friday. It's kinda annoying for they don't serve incomplete parties (I know some restaurant does that too) but for one restaurant that you need to queue up to get it, it's just plain annoying. Initially we were hoping to dine with our teacher who had her hair treatment appointment till 1pm (we reached at about 12pm), so hopefully after her treatment she's able to join us to try this new restaurant, but since the restaurant's policy, hence we're unable to wait for her because we can't get a table that caters for 6 since only 3 of us were present. 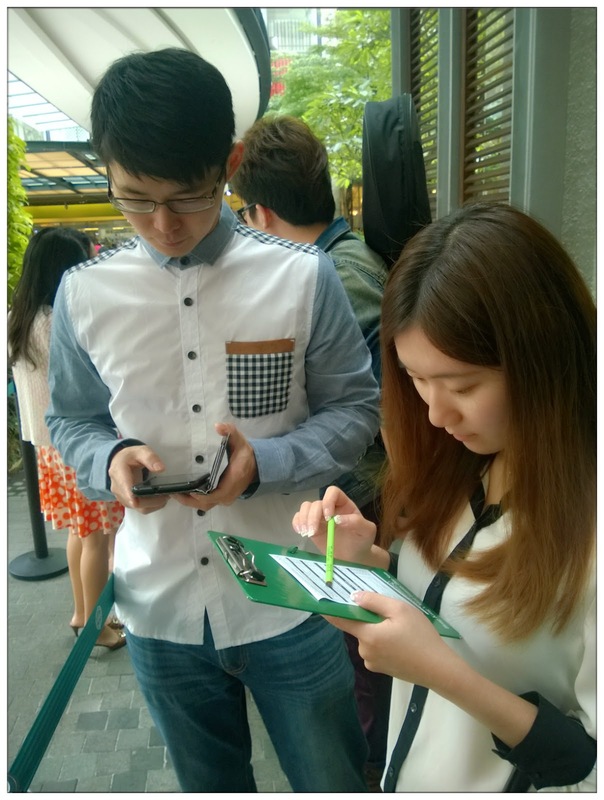 If we're able to sit longer, and another party joins in, isn't it will make profit for your restaurant? I don't get it. Well, maybe it's the atas-ala-michelin-starred kinda attitude. Yup, one page menu. 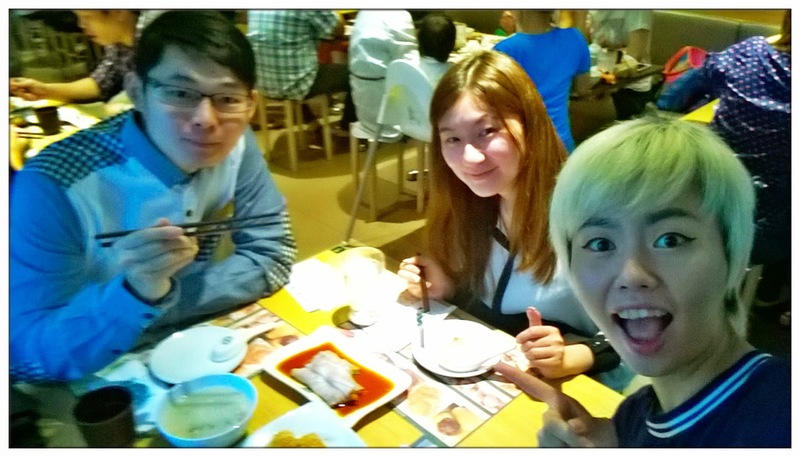 Both Peiyue and Kamsao had tried Tim Ho Wan at Hong Kong and Singapore, so they know the taste best. We ordered some of their specialty and some side dishes. Full of hope and let the food tasting session begins. So fungry already let's eat! Food for the sick one. Kamsao was sick that day, so he ordered this lean pork, century egg and salted egg congee. First taste was so nice (maybe it's because I'm fungry) but after that it tastes... normal. In fact, a little bit bland to be honest. 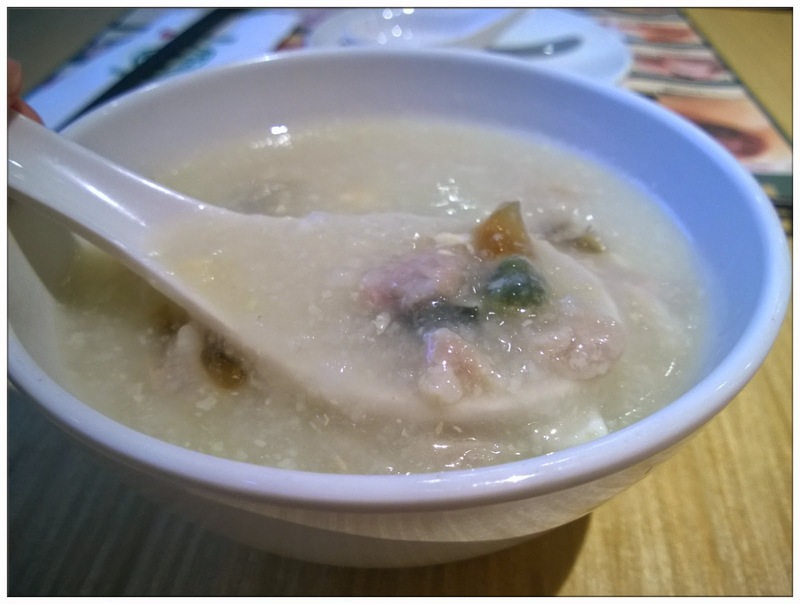 You had to finish this up before you try other dishes or the tastes of others will overwhelmed this bowl of congee. This must be the most expensive Hong Kong Chee Cheong Fun I've ate in my life. Nothing must to boast about its vermicelli roll, but its pocketful of BBQ Pork does made me feel less heartache for the price I pay for a plate of chee cheong fun. One of the nicer dish of Tim Ho Wan. Oily, and normal. 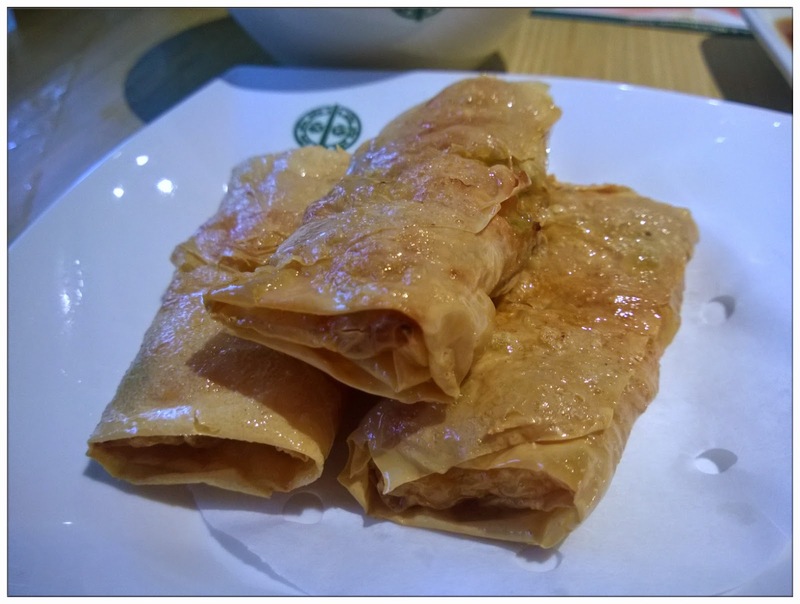 Normal beancurd skin roll, normal pork, normal shrimp. Just like all the average fu zhuk you had at those roadside dim sum restaurants, but way expensive. Yikes. I love siew mai. 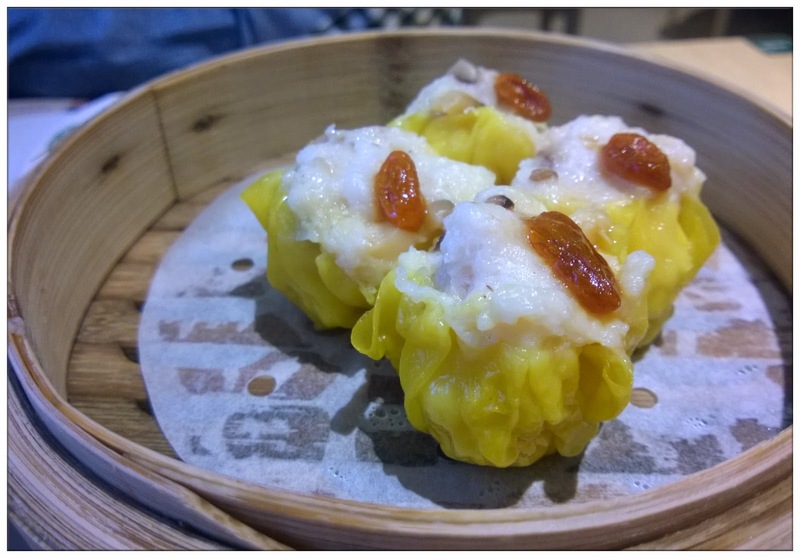 Siew Mai is my must order whenever it comes to dim sum. I can wallop 4 baskets/plates of siew mai by myself in one meal. I love siew mai so much siew mai becomes the dish that will either make-or-break the dim sum restaurant's credibility in my heart. 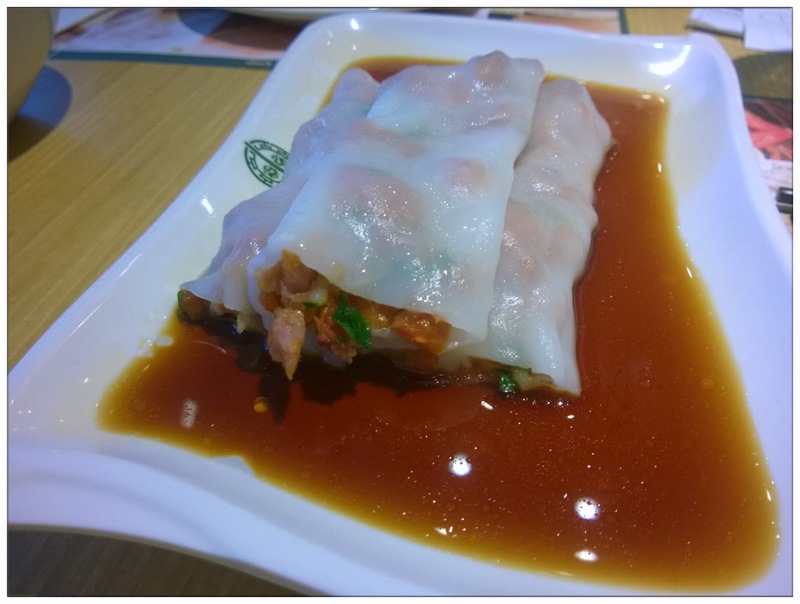 Sadly to say, Tim Ho Wan's siew mai really cannot make it. They taste like average dim sum that can be easily bought at those roadside stalls that's selling buns and baos. I cannot taste the fresh and bouncy shrimp, tasteless pork meat, everything is just so normal. Dare to call themselves 烧卖皇(king of siew mai) some more... *speechless*. 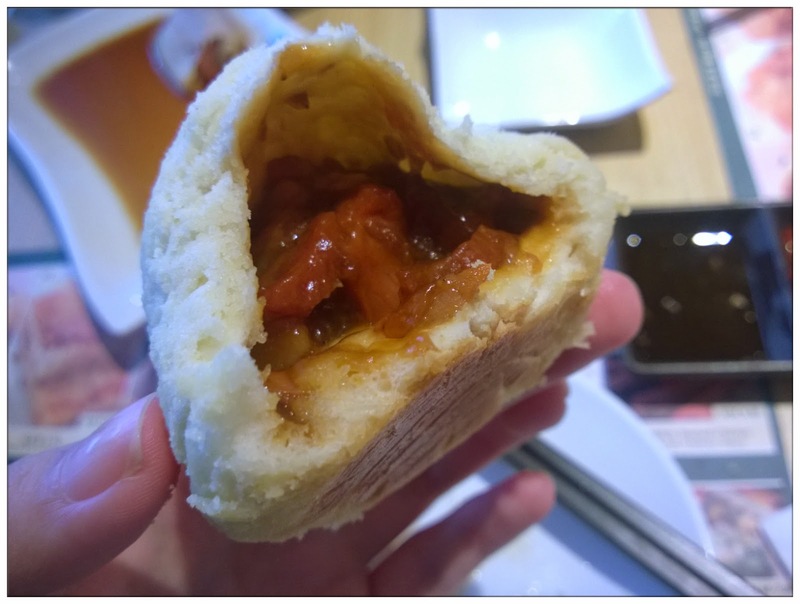 This is supposed to be one of the star dish of Tim Ho Wan. When this dish arrives our table, Kamsao's jaw almost drop to the floor, staring at its white-ish bun skin. It's under baked, like seriously undercooked that it doesn't have the crispy crust. I can't even hold it nicely to take a photo of its fillings. It will be better if it's baked well enough, but too bad it's such a disappointing moment during our meal. The Baked Bun tastes sweet and salty (bbq pork fillings), it's just like eating Roti Boy's baked buns minus the coffee taste, and add some char siew. I wonder if it's just ours is undercooked... or else this baked bun will be one of the reason I would return to Tim Ho Wan. I cannot finish this carrot cake without dipping it in soy sauce. It's just so bitter. The white raddish makes the whole thing so bitter that I thought I was eating bitter gourd. The carrot cake is not solid enough, I can't really hold it together with just chopsticks. 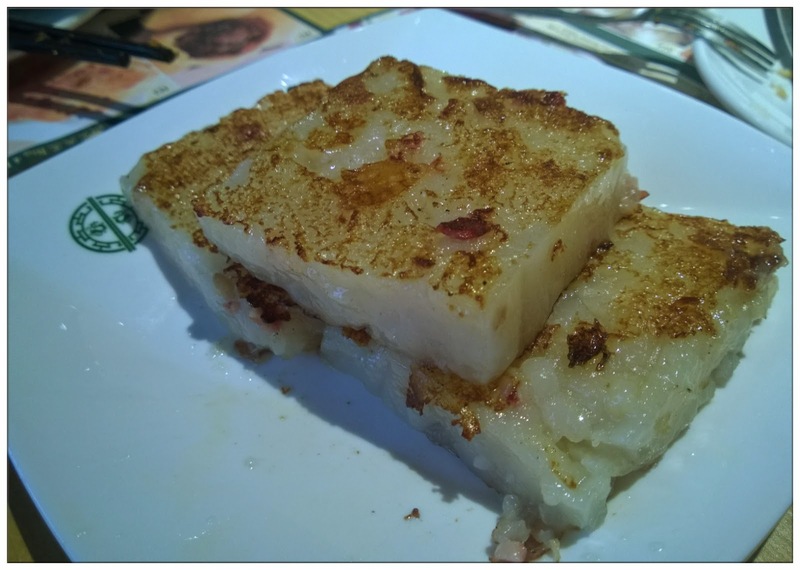 This Pan Fried Carrot Cake is supposedly one of Tim Ho Wan's 4 Heavenly King Dim Sum dish, but it really doesn't seems like to me. 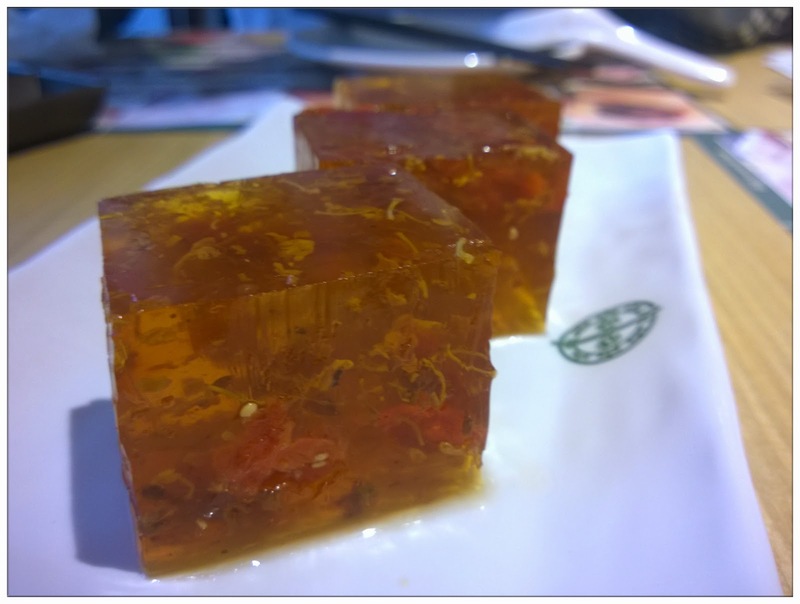 The first time I had this Tonic Medlar and Osmanthus Cake was few years back, one of my aunt made this during a big family gathering and I was surprised by how aromatic and yet tasty it is of this dessert. Since then, I have some very good impression on Tonic Medlar and Osmanthus Cake, too bad not everywhere sell this and not everyone knows how to make this dish. 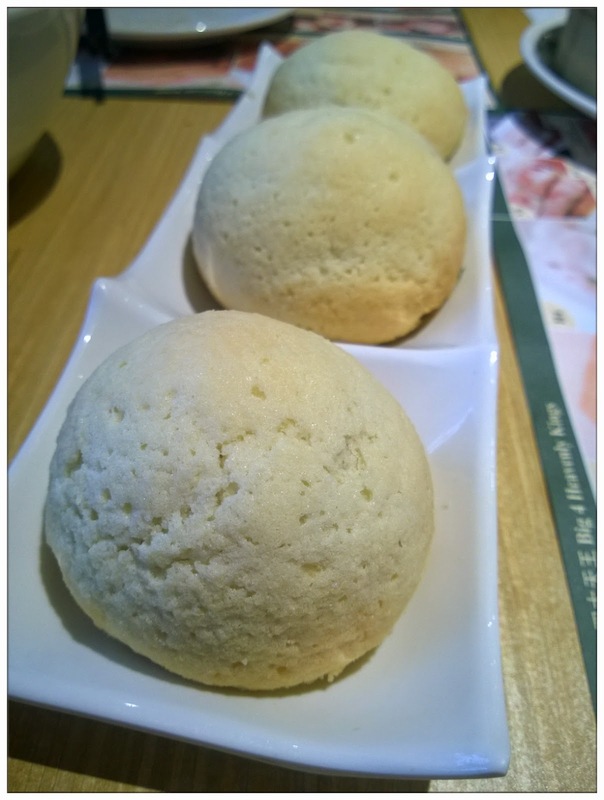 Peiyue told me that she had this at Singapore's Tim Ho Wan and it was delicious, so we decided to order this as dessert, a perfect closure for our meal, but hell, this is one freaking big disgrace for Tim Ho Wan. Although you can see the cake is full of tonic medlar and osmanthus, but it tastes just one word - SWEET. The cake is freaking sweet! I guess someone loaded tons of sugar in the water while making the jelly that spoils the whole thing. The sweetness covered the tastes of tonic medlar and osmanthus, I'm like eating a piece of jelly made from pure sugar water. Seriously, Tim Ho Wan of Malaysia, can you please check your food and make some strict QC before you serve food to your customers? You just spoiled the whole Tim Ho Wan image and the michelin star that the chef's been working so hard to get. Yes, maybe some typical Malaysians will just say: Aiya branches all like this one, if you wanna eat the really good ones you go to Hong Kong la. But is it so? Do we consumer have to tolerate to all sorts of reasons that made the food doesn't taste as good as where it's originally from? Please, for the sake of your restaurant's reputation and consumer's rights, don't serve this kind of food onto the table of diners that made them feel once is enough.